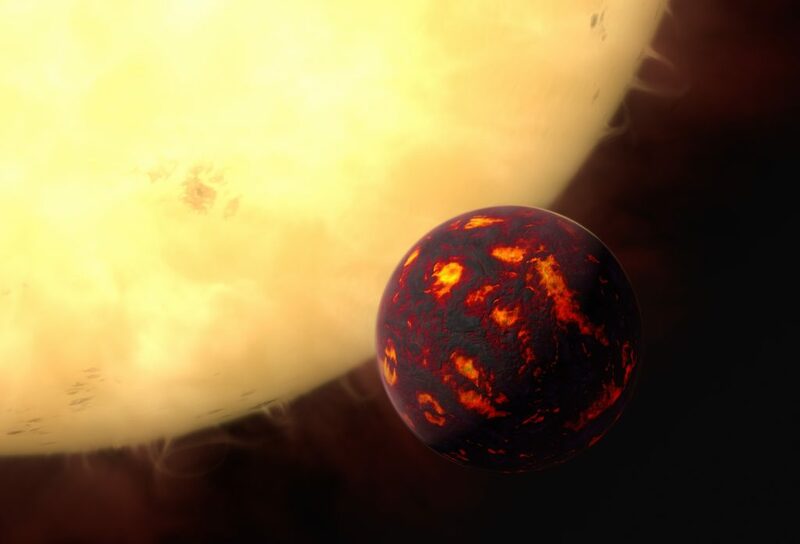 This month we’d like to extend a huge congratulations to the UCL team, led by our own science lead Giovanna Tinetti who have detected gases in the transiting super-earth planet 55 Cancri e. The planet which was recently renamed ‘Janssen’ by the IAU, is also sometimes called ‘The Diamond Planet’ due to suspected high levels of carbon in its interior. Janssen is over 8 times the mass of the Earth and is located in a solar system 40 light years away. Despite the term ‘super-Earth’, the planet is far from habitable: it orbits so close to its star that its year is just 18 hours long and the surface temperatures are thought to be over 2000K. The team used data from the Wide Field Camera 3 on the Hubble Space Telescope to obtain a number of spectra of starlight that had passed through Janssen’s atmosphere. These spectra were then combined and processed with new, sophisticated computer software to obtain spectral fingerprints of gases present. This is the first time that these detections have been successfully made for a super-Earth type planet. The team found hydrogen and helium in Janssen’s atmosphere, as well as a possible signature for hydrogen cyanide, an indicator of high levels of carbon in a planet’s atmosphere. Janssen is the type of planet that Twinkle will be aiming to study (very hot and bright transiting planets), but this new result is from a one-off detection. The Twinkle satellite will make regular spectral observations for around 100 exoplanets, including super-Earths, to allow researchers to understand a planet’s atmosphere in more detail and track any changes over time. This will help build up a picture of the planet’s current atmosphere, and also provide clues as to how the planet has developed and evolved. We are excited by these first results for Janssen, and we look forward to the increased detail that Twinkle might be able to give for this exotic exoplanet and others.